"...enable iPhone and iPad owners to use products like the Moto 360 and the LG G Watch." Okay, but why would anyone want to do that?? You mean Google is planning to release their Android wear app on the most lucrative and popular smartphone on the planet- owned by people who actually spend money? Shocking. 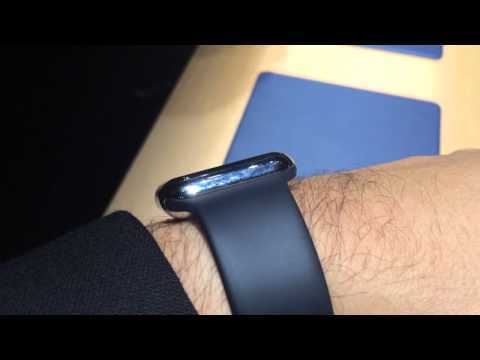 Too bad that 90% of iPhone owners will buy an Apple Watch, if they buy a smart watch. What's with the thin gray fonts? That screen looks like it would be difficult to read, especially in the sun. Notice on ?Watch Apple isn't uding a thin Helvetiva font. They created a font specifically for the watch, one that's easy to read. LOL @ the Moto 270. Not fully 360 degrees. I noticed the Moto 360 images usually show a lot of white so I checked the specs. It's an LCD, not OLED. OLED is the better way to go with something you want the buyer to consider to consider as jewelry because of the deeper blacks, even over the best LCDs on the market. I'd wager that future smartwatches from other companies start using OLED (sans Pebble), along with a UI that uses a lot more black. I also noticed the Moto 360 has an IP67 rating which means it will remain dust free and can be submerged in up to 1M of water for up to 30 minutes without issue. I hope we get this same rating or better next week for ?Watch. They claim it works without the phone being jailbroken but it is a jailbroken iPhone they're using. You can see they've ramped up security at 1:03, each watch is attached to a springy cord. Reasons to get an Android Wear watch would include that they'd be cheaper and look better than the entry Apple Watch. People who want a formal watch wouldn't want to be wearing a sports watch and the stainless steel model could be twice the price of a few of the Android ones. i wonder if compatibility comes with google's own 'we are watching you' software? it is a smart move since apple is suspected to sell more apple watches on release week than all the androids did so far as a whole. 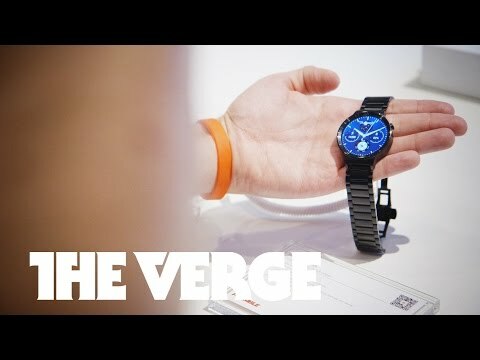 even in Korea i have yet to see a samsung or lg smartwatch on a wrist. but judging by the amount of iPhone 6 and 6 plus i see everywhere- i expect to see a few apple watches. This is a necessary step for Google. No upmarket fashion house will make Android Wears if it won't be able to sync with iPhone. Whatever they do, these kiddie watches won't fully integrate with iOS. Because there are people that use an iPhone, and an Android phone on a daily basis. In Austin, the Android watches are surprisingly popular, but only among the tech crowd (which is a huge crowd here). I'm sure that the Apple Watch will crack the barrier beyond tech workers though. 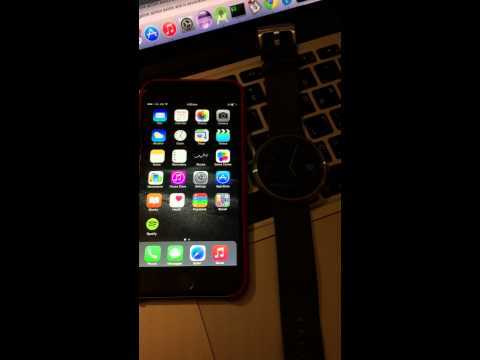 Beside the Apple watch supporting Apple Pay I would like more smart home integration. I would love a watch that open my door lock (home and car), useful when you carry groceries, a watch that controls my philips HUE lights and a watch that control my Apple TV or my Apple TV set. There is so much possibilities. The watch could be the ultimate remote control for anything in the home because its always on you. I would also love it if Apple would have 2 types of watch format next time, a square and a round watch. Nope, nope, nope. No reason to make Android users happy at all. Also, a round watch for this application is incredibly stupid. You don't have a round computer monitor. It’s already been tried and found to damage Apple rather than help it. It was called Mac OS licensing and the clones nearly finished off the company. If people want the Apple experience then let them buy into the entire ecosystem. Google is actually trying to bring iOS support to Android ware. Actually, the way the icons are dispose hints at a possible round screen interface. imo its already planned. And you are too techie about it, round is a well known watch format, and the watch is a fashion item. Wow. Those round watch faces are SO UTTERLY BAD for everything except the analog clock. Just look at simple thing like a photo gets cut off. Text gets cut off. must be so frustrating using that thing for anything except looking at the time. 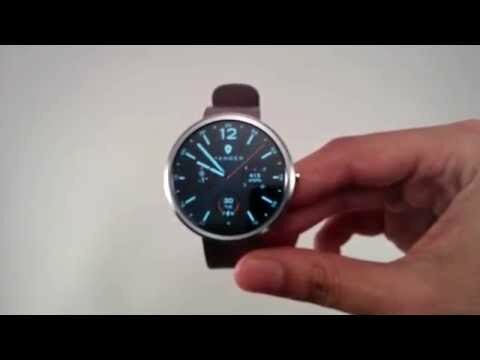 The Android Wear OS is so ugly. so so ugly. That what happen when you put a round screen without adapting the interface. doesn't mean its not doable to have functional round screen. Look at Apple icons, look at Apple activity monitor, those would work perfectly on a round screen.